We are a Connecticut-based travel design firm that specializes in customizing trips for discerning travelers. We are among a select number of US travel firms that are part of European-based Traveller Made ® which is the international seal of excellence for travel designers. Whether you want to spend a week looking at fall foliage in New England, take your teens on an African safari, or travel around the world, we help you achieve the travel experiences you are looking for. Farewell Travels was founded and is overseen by Susan Farewell, one of the most recognized names in international travel media. We draw on the insights of a network of travel journalists and travel professionals around the world. At the root of all of our recommendations is an unflagging commitment to responsible tourism and a determination to help people learn more about the world by traveling. Call 203-247-2317 (EST) or e-mail here. Susan Farewell has been a lifelong traveler, first as a child in a family that traveled a great deal, then as a student studying abroad in Greece, and professionally as a travel journalist and author. Today, she continues on in her role as a member of the travel media, but wears the additional hat of travel designer, customizing trips for her clientele of sophisticated, discerning travelers. 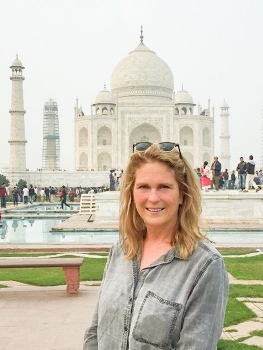 A former travel editor at The Condé Nast Publications in New York City, Susan’s travel stories have appeared in numerous publications (and sibling websites) including Condé Nast Traveler, Vogue, Gourmet, Cooking Light, Travel & Leisure, Outside, Metropolitan Home, McCall’s, Child and Bride’s. She also writes for newspapers such as The New York Times and The New York Post, national newsletters (BottomLine Personal) and numerous in-flight and regional magazines as well as various websites. Susan is the author of several travel books including How to Make a Living as a Travel Writer, Hidden New England and Quick Escapes from New York City (the latter two have had multiple editions). She has also co-authored many books and has served as a travel correspondent for radio and TV programs over the years. 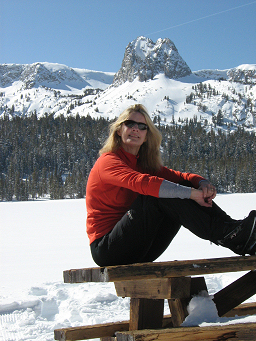 Susan is a member of the Society of American Travel Writers, the New York Travel Writers, North American Snowsports Journalists and the American Society of Travel Agents. She holds a BA in Greek Classics from Boston University. Tom brings both a love of travel and extensive media experience to his role as President of Farewell Travels. Tom first tasted the thrill of travel, when he was 17, and hitchhiked across the Europe. A driver who picked him up commented on how young he was to be traveling alo ne. Tom just took it in stride. Over the years he has developed a special passion for adventure travel. He has scuba dived around the world, climbed the Dolomites of Italy, deep-sea fished off the coast of Costa Rica, and pursued wild mustangs on horseback in Wyoming. Tom is also a television producer, and spent a year as the Executive Producer of “Born to Explore,” an ABC network show that took him from the Northern Territory of Australia, to the Okavango Delta in Botswana. His most memorable experience from the show was in Uganda, where he trekked after mountain gorillas, and visited one of the last remaining villages of the Batwa Pygmy tribe. For many years, as an Executive Producer at CBS News Productions, Tom produced hundreds of shows for all the cable networks, winning three Emmy Awards, and four Emmy nominations. As a print journalist, he has written for all the major magazines. He is also the author of seven books, both fiction and non-fiction. 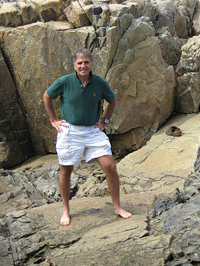 Tom specializes in advising our clients about adventure travel opportunities all over the world. He holds a BA in Political Science from Columbia University. Sweden where she has relatives. 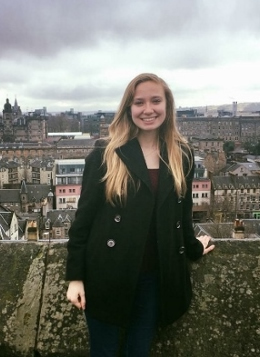 She then went on to study English and International Relations at the University of Connecticut (Storrs) and studied abroad at the International Studies Institute in Florence. Wherever Taylor goes, she makes a point to investigate local cuisines and also has a habit of purposefully getting lost in a new city and leaving the city's map behind. All of this has given her the firm belief that the most valuable item a person can own is their passport. Beth Nixon has been a photographer ever since she was a teenager. Her work focuses on the environment, capturing our planet’s extraordinary diversity. Through her worldwide travels, Beth provides a sophisticated perspective on environmental issues. Beth is a former field producer for the MacNeil-Lehrer NewsHour in Chicago. Over the years, she has held editorial/field producer positions for a variety of media outlets including MainStreet Media in Chicago and Looking East and One World in New York. Currently, she serves on a number of boards, including WINGS Worldquest, which supports women engaged in bold scientific research and exploration. She has lived in Australia, China, France, Hong Kong, Tokyo and Greece, where she worked on an archaeological dig and fell in love with the classics. With her husband and two college-age daughters, she has hiked and rafted nearly two dozen US National Parks and visited numerous UNESCO World Heritage sites around the world. Beth holds a BA in East Asian Studies from Princeton University, an MA in China Studies and International Economic Development from the John Hopkins University School of Advanced International Studies, and a Certificate in Chinese Language and Literature from Peking University.